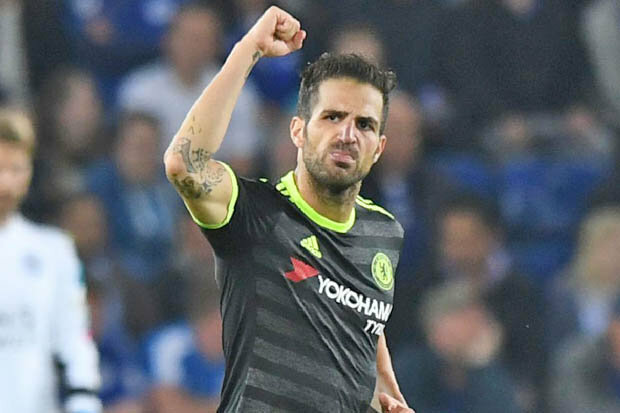 Spain international Cesc Fabregas has hinted that he could pursue fresh pastures next term after Antonio Conte decided to bench him for the FA Cup final defeat to Arsenal. The 29-year-old could not influence the gameplay against his ex-club after he brought in after the hour mark in place of Serbian midfielder Nemanja Matic. The Blues eventually lost the game by a 2-1 scoreline, and this removed some of the gloss from their Premier League triumph with the club having failed to clinch a domestic double during Antonio Conte's first stint in English football. Fabregas had made just 15 starts across all competitions prior to the game, and he was livid at not making the lineup despite starting four of the last six league outings. In a report on BBC Sport, the former La Masia graduate was asked whether he would leave the Blues following the omission, for which, he said: "Not necessarily, but in football you can never say never.Anything can happen but I have always said I feel very, very loved by the fans here and every time I have played I have shown I can play at the top level in this team. "It is all about trying to change the manager’s decision.It is still a good season. We go home with a bad taste because of what has happened but for sure we would rather win the Premier League than the FA Cup." Fabregas was ever-present during his first two seasons with Chelsea, but last term was an exception as he found himself behind the likes of N'Golo Kante and Nemanja Matic in the pecking order. Chelsea are now on the hunt for a new midfield anchorman and time may be running out for the World Cup winner to stamp his authority in the Blues lineup. Last season's top performer Eden Hazard is likely to require an extended break following an ankle fracture, and this could provide Cesc Fabregas with a role further forward as he looks to express himself in the renewed but yet popular 3-4-3 formation.